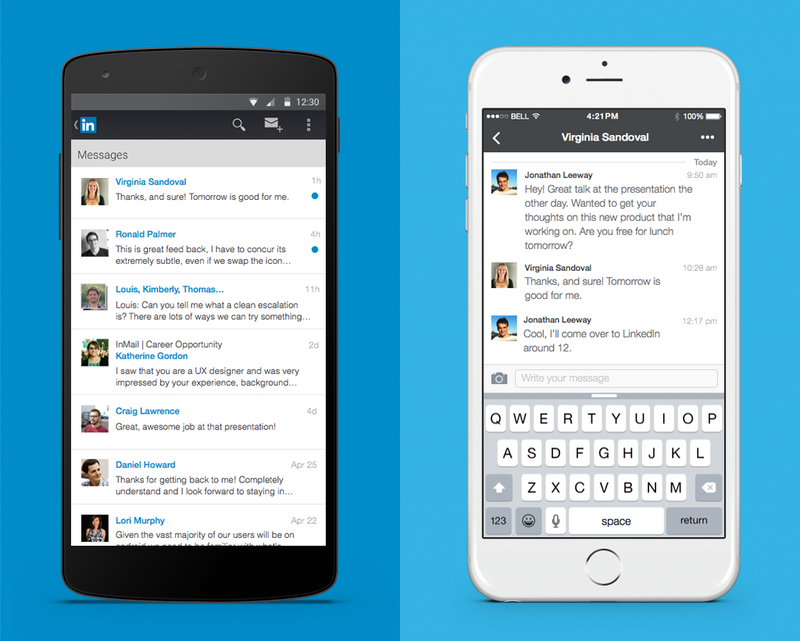 New messaging experience comes to LinkedIn, finally! The wait is over. 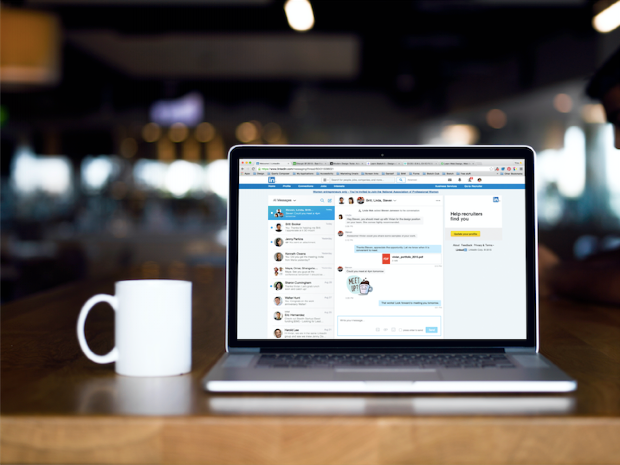 We know people love to message each other, and now it’s easier than ever to do so on LinkedIn. If you’re like me, you’re probably having more and more short-form and casual conversations with your professional peers every day. As you would over text or in-person, it’s now easier for you to have meaningful yet lightweight ways to reach out and light up your professional relationships through conversations. 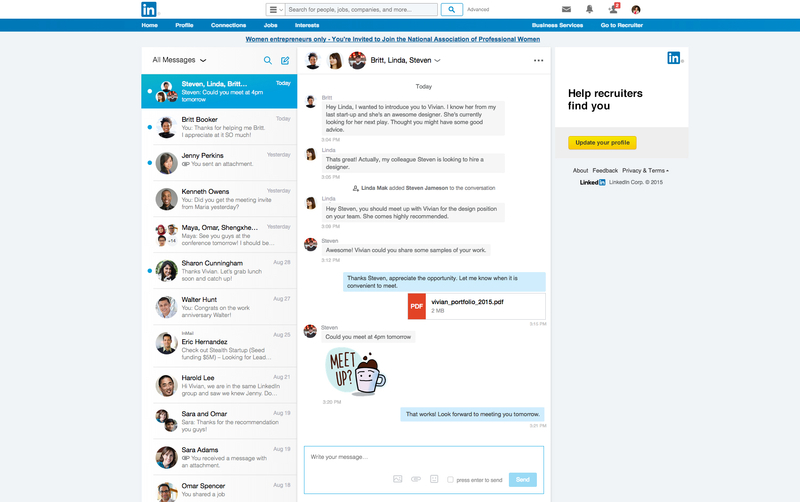 Starting today, we are rolling out a new messaging experience on LinkedIn that offers an easier and more lightweight way to have professional conversations with your connections. We know many of you have been asking for this ability and we’ve taken a thoughtful approach to reflect the evolving ways professionals are communicating with one another today, as well as, the different ways our members are interacting with each other across our international markets. We’ve rebuilt everything from the ground up so you can expect a cleaner and more streamlined look and feel to help you start or keep a conversation going. We’ve also introduced a chat-style interface to allow for easy back and forth messaging. We’ve also organized all the messages around the people that matter to you, which means you’ll be able to easily reference the last conversation you had right within the thread. We’ve also improved our push and email notifications to make it easier to stay on top of the conversations that are most relevant and important to you. As part of our efforts to streamline the new messaging experience, we’ve moved some features around such as sent invitations. Learn more here. Conversations make your relationships stronger. Whether you’re researching and reaching out to new business partners or you’re sharing articles and discussing it privately via a message with your colleagues -- we believe conversations make everything you do on LinkedIn more meaningful and powerful. The new messaging experience has started to ramp today to English-speaking members around the world on iOS, Android and the desktop web experience. We look forward to making it accessible in other languages in the coming weeks. If I Were 22: What Advice Would You Give to Your Younger Self?